Kirsty Simpson is urging her 12-year-old son Devaj to make contact with her. 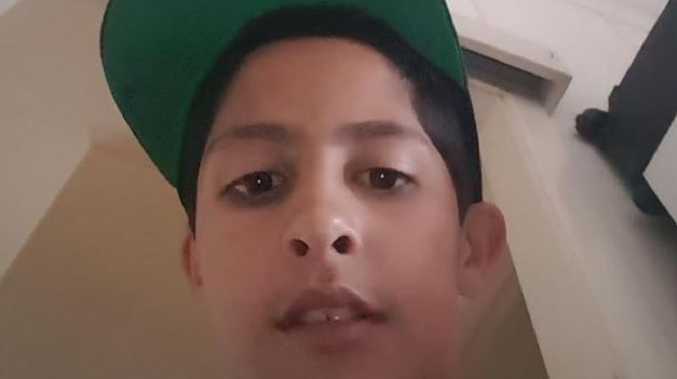 A MOTHER fears for the safety of her 12-year-old son, after he disappeared six days ago and hasn't been heard from since. Devaj Simpson, from the Lockyer Valley, and his friend Tyrell Winter, 15, were last seen on Tuesday, about 9pm, at Mama Creek-Gatton Rd, at Gatton. Police wish to speak to the pair about a stolen car that was dumped at Fortitude Valley later that night. Devaj is a Laidley State High School student. Devaj's mother Kirsty Simpson said she understood her child was wanted for questioning, but said she just wanted him to make contact with her. "(I would) like to say we want you back safe as we are all worried about you and love you," Ms Simpson said to her son. The Courier-Mail understands the car was taken from a complex where Devaj was staying. There have been sightings of Devaj at Marsden, Browns Plains and Goodna, Ms Simpson said. Devaj is described as Aboriginal, approximately 130cm tall, medium build, brown hair with brown eyes. He was seen wearing a blue T-shirt, black and red hooded jumper, fawn coloured long pants and brown shoes. Anyone with information regarding their whereabouts is urged to contact police on 131 444.